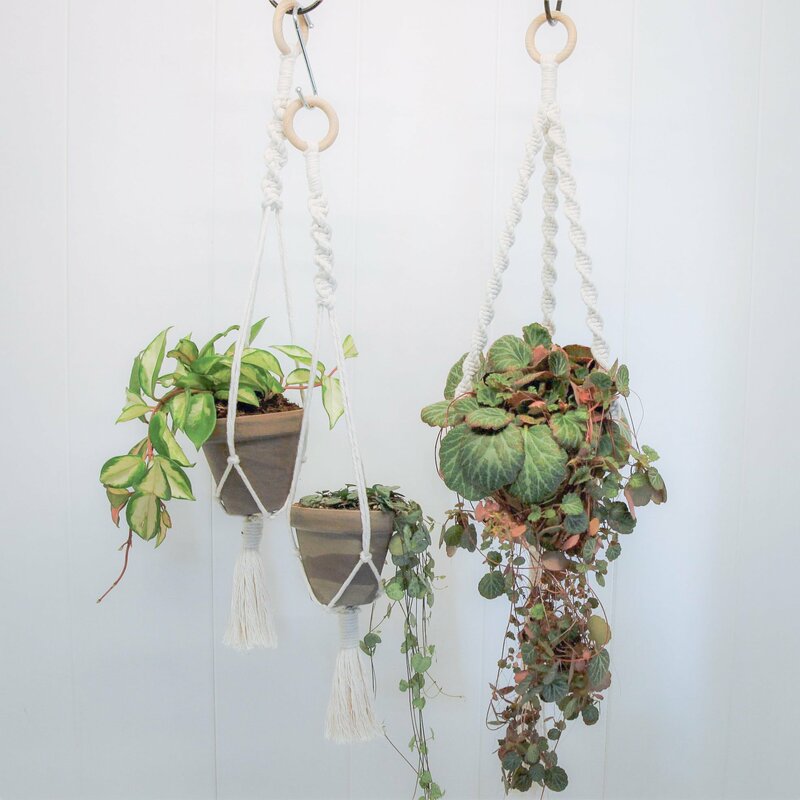 Botanic Tribe are selling their gorgeous greenery and macramé work from their studio in our courtyard during November and December 2018. They also run a plant styling and maintenance service alongside. If you are in need of some seriously stylish foliage for a wedding or special event, you are a café or business who needs a botanical display, or you just need help taking care of your indoor jungle, they are here to help you! Warm up with a herbal tea or hot cocoa whilst resident knotter, Amy, teaches you the art of Macramé plant hangers!By the end of the workshop you will have created an amazing Macramé planter - an ideal Christmas gift, or festive present to yourself! 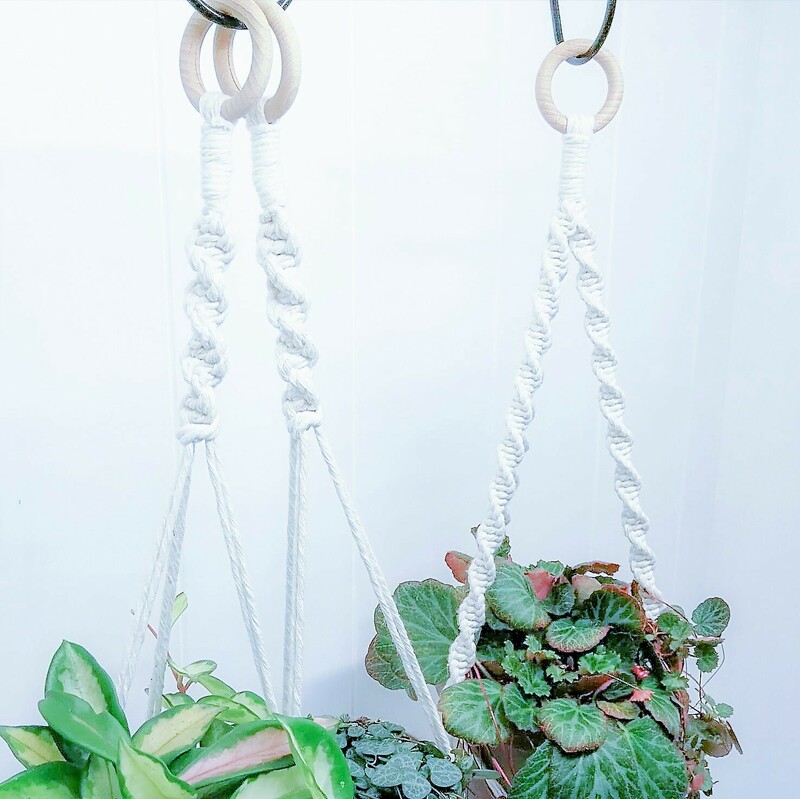 "You can either make 1 medium plant hanger, or 2 minis (all pots included). Plus if you wanted to add a plant, we've got quite a few to choose from! We give a discount for plants purchased on the night. We will be using unbleached, single twist cotton and a wooden hoop top." Amy works with only plant based materials, so your creation will be eco-friendly, as well as beautiful. Sip a mulled wine or hot cocoa while Charlie and Amy show you how to create your very own corked jar terrariums. Terrariums are glass environments for containing miniature plants- so therapeutic and rewarding to make - and they look really beautiful in the home. The containers being used for the terrariums are high quality eco-friendly glass jars with cork plugs. 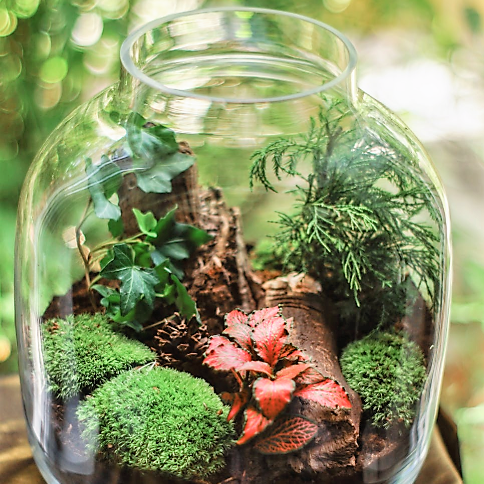 There are two types of terrariums, sealed and open - you will be making the closed/sealed type. Think of it as a eco-system in miniature! Once your terrarium is sealed, the plants will look after themselves and won't even need watering... It's about as low maintenance as indoor gardening gets! Everything will be provided, including gorgeous eco-glassware (the large glass jar measures 21.5cm dia x 30cm height). You will end up with a very very beautiful item for your home to take away with you. Or a thoughtful creative Christmas gift for a loved one. By popular demand, we are adding this workshop to our programme of festive craft evenings. So many of you have asked about this so we are adding another date, thank you for all your enthusiasm and support! Warm up with a herbal tea or hot cocoa while 'MacrAmy' (Amy) teaches you how to make her beautiful signature knotted wreaths. Perfectly timed, for you to hang for the festive season ahead. "This workshop involves using decorative knot work to make a wreath approx 25-30cm diameter in size. You can choose from hemp, manilla or cotton ropes to make a wreath that could be either hung indoors or outdoors. I will be able to explain twine suitability before we start. There will also be a selection of foraged foliage to decorate the wreaths so you can add your own botanical flourishes." We also give a discount for plants that are purchased at the event, should you decide to shop with us while you are at any of our workshops. Amy works with only plant based materials, so your creation will be eco-friendly, as well as beautiful. Check out her work on her Instagram page.